LONDON – The HM Revenue and Customs pays out over GBP 300 000 per year to whistleblowers and snitches for information on tax cheats. 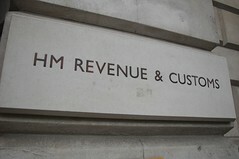 According to the UK based investigative group Exaro, since 2008 the HM Revenue and Customs (HMRC) has paid over GBP 1 million in bounties to individuals who provide information and data which leads to the recovery of previously unpaid taxes. The information was obtained in a set of HMRC documents which were released under the Freedom of Information Act. According to the documents, last year the HMRC received approximately 70 000 individual tip-offs on a public hotline, and paid out GBP 374 000 to whistleblowers. The payments ranged in value from GBP 50 to several thousand pounds, with the payout being based on the amount of taxes recovered from the tip off. The HMRC documents showed that the largest payment on record was approximately GBP 100 000, which was made to a former banker from Liechtenstein in exchange for details on bank clients who were evading taxes in the UK. Between the years of 2005 and 2009 approximately GBP 42 million of taxes were recovered as a result of information provided by whistleblowers.